We’d love your help. Let us know what’s wrong with this preview of Live It, Love It, Earn It by Marianna Olszewski. 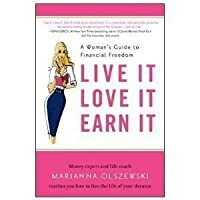 "Part motivational, part personal finance...Olszewski seeks to first inspire before she walks you down the path to prosperity." Marianna Olszewski didn't start out rich, happy, and fabulous. 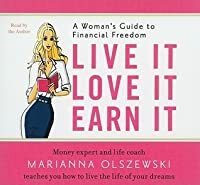 Strapped-for-cash beginnings motivated her to strive for abundance and financial independence-goals she exceeded by age thirty as the founder of a multimillion-do "Part motivational, part personal finance...Olszewski seeks to first inspire before she walks you down the path to prosperity." Marianna Olszewski didn't start out rich, happy, and fabulous. Strapped-for-cash beginnings motivated her to strive for abundance and financial independence-goals she exceeded by age thirty as the founder of a multimillion-dollar business. To ask other readers questions about Live It, Love It, Earn It, please sign up. This is a great book. She just left out one chapter. Cheating on taxes. Was it in the appendix? I may have missed it. I really love this book. It was like The Secret + a Suzy Ormond book. There was a lot of great advice. I dog-eared a lot of pages out of my library book, but I think I might just purchase this for future reference. A great tool for anyone looking to save money, invest money, and get their finances together. There is even a wonderful section on how to start your own business. What I liked best was the personal success stories scattered throughout that inspire and educate readers. There are also s I really love this book. It was like The Secret + a Suzy Ormond book. There was a lot of great advice. I dog-eared a lot of pages out of my library book, but I think I might just purchase this for future reference. What I liked best was the personal success stories scattered throughout that inspire and educate readers. 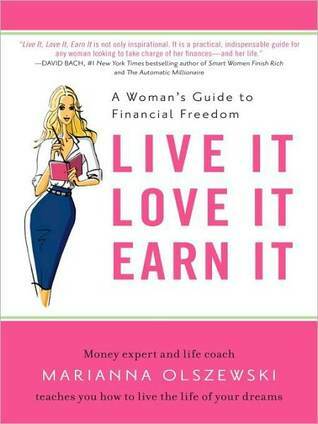 There are also stories of not so sucessful women and what not to do in certain financial situations. The book didn't have as many financial tips as I would have liked, or was hoping for, I enjoyed reading each of the women's personal experiences leading up to financial and business success. I wasn't much for the positive affirmations or practice exercises outlined in the book (just not my cup of tea). While I found some of the information relating to investments and retirement funds to be useful, I thought that overall the book was poorly written. The 'girly-girl' theme was rather irritating and really took away from the information being presented. I would not recommend. Misleading title and synopsis for me...she has some inspirational points. Not the best self-help book for empowering women I've ever read, but not the worst either. Read if a friend can lend it to you...don't spend the money on it. Completely condescending. Who cares if the author was anorexic/bulemic? What does that have to do with learning how to manage my money? Ack. I should have known better than to read a book geared towards women and finance. Back to Orman and Ramsey. Does the book contain a section on how to evade US taxes by putting large amounts of cash in secret shell accounts in Panama and othee countries like the author did? If u like to learn how to make money in future, be seccusful .. It all about money and finance. Very encouraging and made me feel optimistic :) Loved her visual board idea, and the chapter on acting as-if.